Montgomery’s Jaymes Tischbern showed end of the season times at the Berkeley All-Comers 2/17. His 400 meter time of 49.00 smoked the field by over 2.5 seconds, took down the Viking school record of 49.75 by Dave Rodriquez from 1979, and moved him to 11th All-Time. Watch the race here, Jaymes lane 5. His 200 meter time of 21.94 into a -1.0 head wind has only been bettered in wind legal times by himself and two others EVER. Word is spreading quickly that long time starter and Track supporter Bob Shor has passed away after his battle against cancer. I have been involved with running around here since the 70’s and have seen so many changes; from the addition of girls, to the switch to meters, and so many involved come and go but one of the constants all these years was Bob Shor. He was as dedicated a volunteer to youth running as anyone has ever been. To say he will be missed does not come close to describing the hole he will leave. 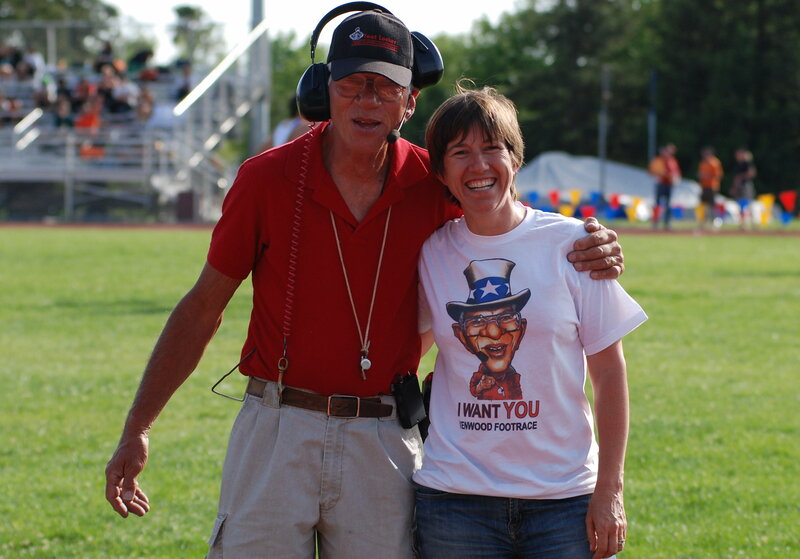 If I was ever hit with a track question I could not answer Bob was usually the first person I would go to. Here are a few words from around the area. I will keep what Val wrote at the top and add the newest comments below her’s if you want to keep checking back. This is the tribute that I made on behalf of the Empire Runners in June. On behalf of the Empire Runners we would like to welcome you to the “Bob Shor Summer Track Series”. 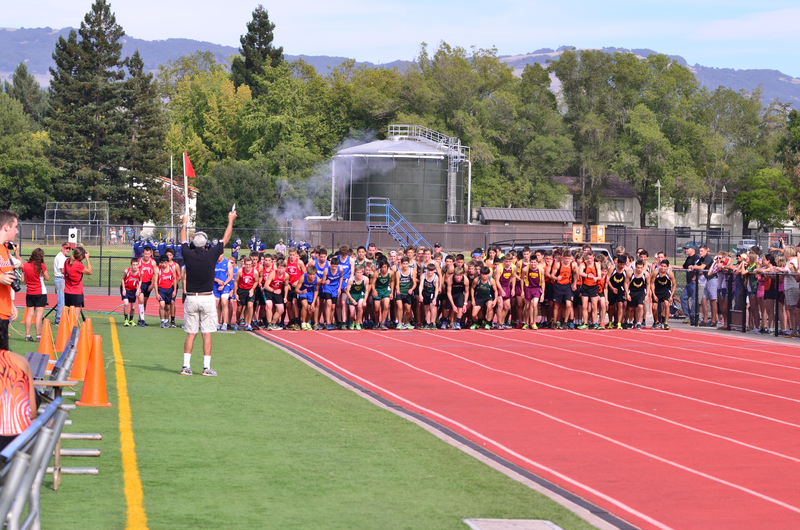 Bob Shor can be described as nothing less than the foundation of youth running in Sonoma County. By youth I mean anyone under the age of 90. 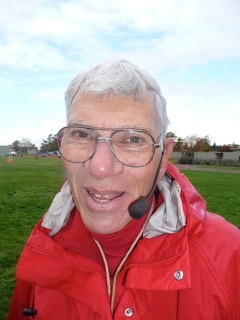 Bob first came onto the running scene back in the 80’s coaching for the Santa Rosa Express youth running club. 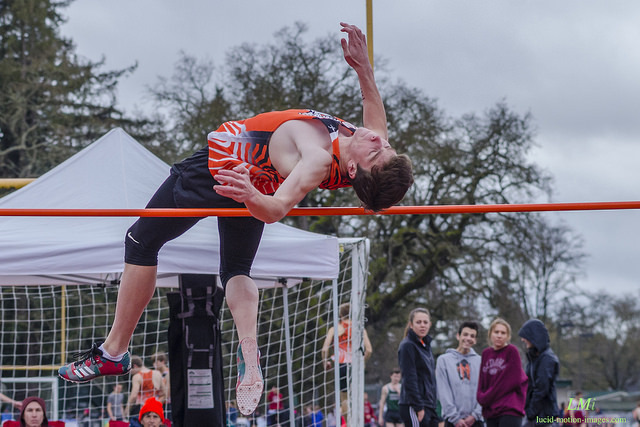 During the Track season he could be found teaching the kids multiple events and encouraging them to enjoy the sport through team building and competition. 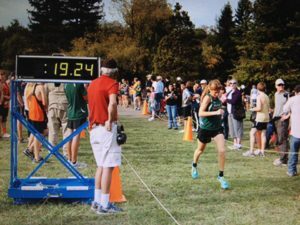 During the Cross Country season he was often found riding his bike alongside the kids who routinely made their home base at Howarth Park and the trails of Spring Lake. Through the Santa Rosa Express Bob coached many of the local standouts that continued on through High School, College and professional sport. Some of the few but not limited to, were, Julia Stamps, Trina Cox, Kim Conley, Jacque Taylor and countless others. For many years Bob worked with Doug Courtemarche at SRHS to help further develop many fine athletes. 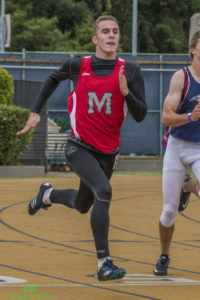 During his free time, he could be found on the start line at numerous track and cross country meets throughout California and beyond. Everyone wanted a piece of Bob. Alongside this, he has become our local favorite starter. « Shooter Bob » as he is known has grown to be a hometown hero of sorts. The stories from kids and adults alike are many, often of the hard knocked guy with stern rules who manages to put on the most efficient and organized races. As a coach it is always the same story, the kids who have grown up under Bob’s gun return as adults with words expressing gratitude and affection. There is no doubt that you are loved. The lessons that you teach our youth are a dying breed and those kids have been rewarded and will hopefully carry on the torch. It is our pleasure to dedicate this series in your name. Bob was one on a kind! He was such a wonderful ambassador to the local running community. He loved being a part of our sport from youth to adults. One of the many things I loved about Bob was his true honesty, he was a straight shooter and always told it like it was The east coast in him served him well. I’m proud to have been able to coach with him during our Santa Rosa Express days. Getting to know him touched my life for the better. God Bless you Bob! I have enjoyed a pretty blessed existence, in that much of my life has remained steady despite my occasionally turbulent tendencies. Perhaps that’s why I felt an odd connection to Bob Shor across the last 20 years. He was always there, and he knew what it meant to be an explosive personality, yet truly gentle at the core. Bob was nothing if not furiously dedicated, and I understood that. I also understood what that kind of commitment can do to a man. It can make you appear strict. It can make you appear compulsive. It can make you appear inflexible. Truthfully, however, that kind of dedication–which is truly devotion–is so striking, many do not know how to respond–not even the man from whom it emanates. Bob was indeed complex, but his mission–his vocation–was quite simple. He was a man who believed he was here to serve others, and there is no greater calling than that. Over the years, I came to see Bob for all of his immensity. Make no mistake, despite the slight frame, we all recognized him as a large man. We were not so much with him, as we were among him. He commanded that much space, and he deserved it–because space is given with an air of respect. And while many of us witnessed his fire in many public moments of “educating” an athlete who may have taken a misstep, I do hope people watched more closely between the races, during the staging, in practice sessions, and away from the starter’s perch. Did you ever have Bob whisper you an encouraging word when he knew you needed it most? 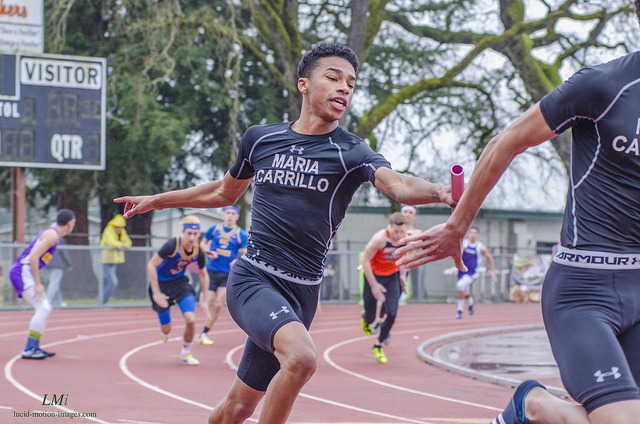 Were you that first-time youth runner who needed track to be your safe place? Or that foolhardy young coach who thought he’d seen it all only to have reality drop on your head like a 16-pound shot? Yeah, I was the last one. I had the chance to watch Bob interact with the kids of Santa Rosa Express and other youth clubs at USATF meets, and I can tell you, he was like a grandfather to all. 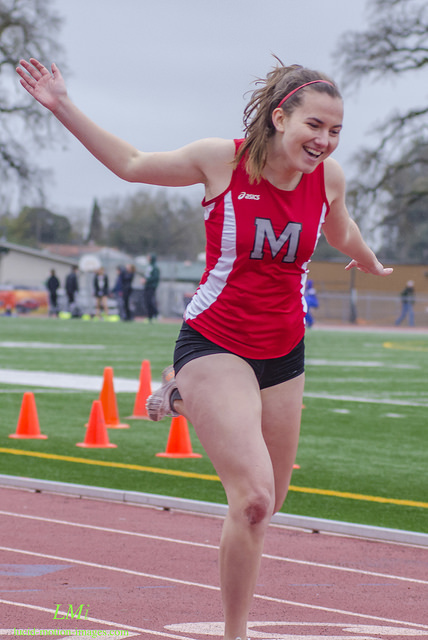 When I heard of his passing, I did a search on social media of his name to see how far the news had reached, and even the NCS great Aisha Margain–from the East Bay–posted a noted about how much she adored Bob Shor. Look, make no mistake, Bob was tough, but its a tough that was rare and a tough that we will miss. Despite all the gruffness, he was the one my boys at Cardinal Newman lovingly memorialized for eternity with their epic “A Day in the Life of Bob Shor” sketches on our van rides home from meets. He was a local running icon–and that is undeniable. In the last few years, I would take some time at each meet Bob was starting to visit with him. As I said, I felt a kinship there. He knew I was a pretty excitable guy as well–believe me. But we both loved our sport, and we loved it because of what it does for the kids we served. No one has served those kids better than Bob Shor, and I guess I just wanted a little of that magic to rub off on me. And I believe some of it did. Bob had an incredible speech he would give before most races, and generations of kids have internalized it, I am sure. The part that lingers with me now is just a snippet from his well-rehearsed monologue. 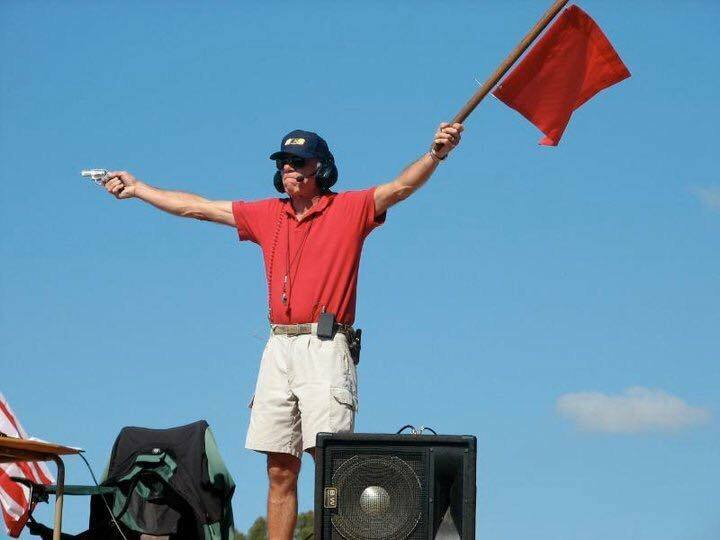 It was when he was reminding the athletes that he would not fire the gun until they were all perfectly still. It is interesting how that phrase strikes me now. Perhaps sentimentality is luring me toward a different understanding, but it does strike me as something that is very central to the sport of running–and that is community. It is not JUST about you, even though running can be regarded as an individual sport. You can run on your own, but it is more enjoyable with EVERYBODY there with you. Bob has always been there for you. He has always been there for EVERYBODY. So when the kids stand behind their blocks, or take two steps back from the line, we will respect the space that is created there. We will know that this empty space is where Bob would be, giving his final instructions before the kids take another shot at discovering just how great they can truly be. The Gun maybe silenced, but my memories will never leave. I only knew Bob for a very short 7 years but it could have been 70 for the lasting impression he made on me. I think I’ll miss most those 2 hours before the first race, ‘that quiet time’ when I would sometimes help him haul everything out of the old truck and always have a warm fascinating discussion of questions I had regarding runners and races of the present but mostly of the past. In those quiet times I got to see how deeply he cared about the kids and the sport. Many might have just seen the gruff – take charge – Official on the Starting Line, but they would hardly be scratching the surface ………. It’s fitting that Bob’s shirt in this Photo says so much more than I can. His Volunteering efforts were the very backbone of not just the Empire Area running but the whole Bay Area. I will dearly miss Bob and our many pre-race chats, I really grew to love and respect this guy. I am deeply saddened on learning of the passing of a community icon, Bob Shor. Bob no doubt touched hundreds of thousands of lives in a positive way. Those that know Bob know that he had incredible heart, and love for the sport and those that participated in it. Our family will forever be grateful for his support for for our daughter Shannon (both pictured above), and always will carry his memory in our hearts. A long and dear friend of mine and Santa Rosa High School Track and Cross Country passed away this morning. Bob Shor was part of Santa Rosa High for around 20 years. He was a coach and starter for our meets. Bob and I worked together for over 30 years with the Santa Rosa Express Youth club and the high school. Bob voluntarily offered his numerous services to any group that he could accommodate. Bob started meets allover the country and never sought compensation. He freely gave his time and expertise whenever he could. 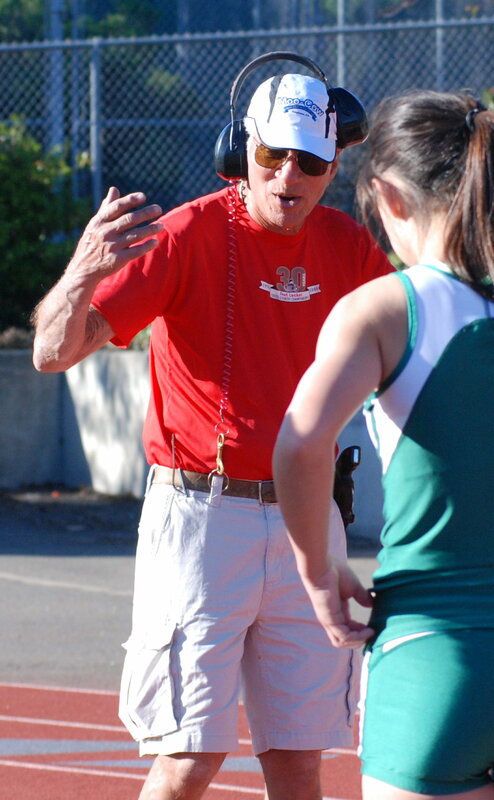 Bob was truly a legend not only in Sonoma County but throughout Northern California and In Youth track nationally. 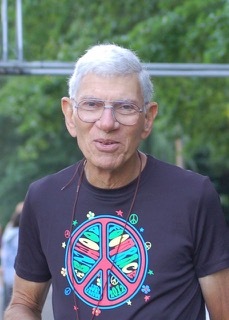 Bob was an active member of the Empire Runners of Sonoma County. I met with his wife and daughter this morning and they are both doing fine. Bob suffered from multiple forms of cancer for the past year. There will be some sort of service in the early fall. You will be missed, Bob. Happy starting in Heaven. The most memorable thing about Bob to me will always be the announcement he used to sternly make before races across the loudspeaker stating “NO JEWELRY.” When I was a freshman running my first season of XC, I would always rub my hands at the starting line to make sure I had removed all of my rings lest I be subject to his legendary wrath which would descend on any flighty kids not paying attention to the rules. His “NO JEWELRY” speech was so legendary, my xc team in high school enjoyed creating new and snarky additions to it during our long runs in Annadel. It even caused an episode during a tempo run at Spring Lake where our entire varsity boys team jumped out at the varsity girls team screaming “NO JEWELRY” at the top of their lungs. It was significantly more funny and frightening than the time they pretended to be mountain lions (despite all of those shenanigans they still managed to make it to State that year). Now coaching high school, I feel like my athletes have never received the full Bob Shor experience since the “NO JEWELRY” rule changed years ago and the speech went out the door with it. But his bark was always worse than his bite and he trained legions of young athletes to be prepared for the next level of competition. His kind and generous heart inspired hundreds, if not thousands. When I began my first season as a head coach at Montgomery last year, he kindly took me aside after my first stint as meet director for the Viking Opener. He immediately told me what a good job I had done, and then he listed five things I could to make the meet better the next time in one of the kindest and gentlest tones I’ve ever heard him use. His stamp of approval will forever be priceless to me, since 2016 ended up being his last Viking Opener – a meet he had served as the starter and official at for over 25 years. I attended a USATF coaching clinic earlier this year where he received a lifetime achievement award. He was not well enough to attend, but it was a privilege to hear some of the tributes presented at the event. This summer, Montgomery hosted the Empire Runners Club Summer Track Meet Series. Bob came out one last time in his wheelchair. He told me – “It’s so good to be out on a track again!” We celebrated him together as a community that day renaming the summer series after him. That was the last time I saw him. I will always remember him high atop his starter’s ladder, gun poised in the air, flag lifted high. When the gun goes off, he will climb down slowly and prepare for the next heat. I feel completely heart broken from this news. I feel so lucky to have known Bob Shor-he was the best coach I ever had. He is the reason why I am coaching. For years, we travelled all over the country together, ran track workouts and told stories. You had a huge impact on my running career and who I am as a person, I could only hope to do the same with my athletes. You were a great friend to my family. 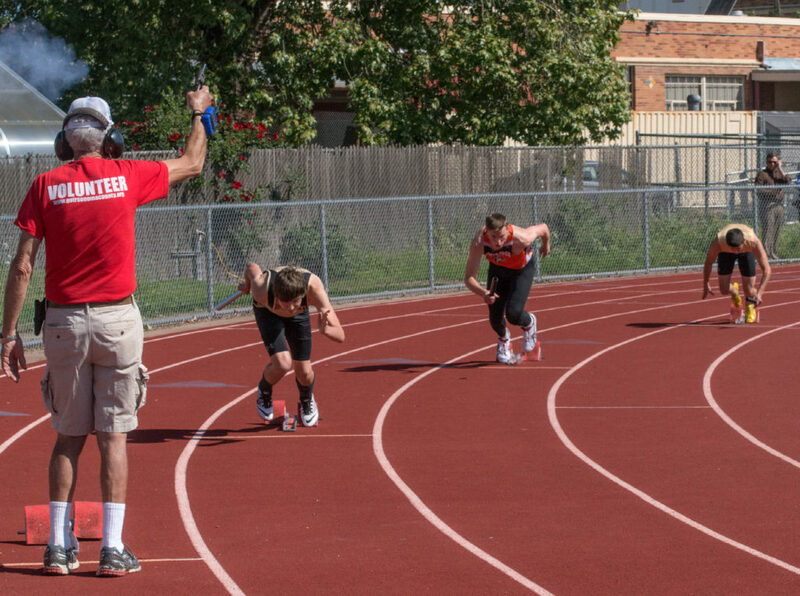 I think about you most days, especially when I put the 800m kids through one of your workouts…. I’ll miss you, words could never do you justice. I will continue to dream to be half the coach you are to the Empire Running community. Bob Shor was an icon, an institution, a legend. He touched 1000s of young athletes’ lives. Gruff yet gentle, he had a wealth of knowledge and wisdom to impart. He was a Vietnam Vet from New York City, a 4:20 miler, a great storyteller. Old School all the way, which would cause him some bewilderment as times changed of course. He was especially patient with young kids in SR Express, and I have many fond memories of Bob being surprisingly playful with my own children as they grew up on the track because I towed them there every day. Despite his health problems the last few years, he never missed a day of practice until this past CC season. One of the hardest core routine skills we do are what we call the “Bob Shor Leg Hovers” — it’s too painful to even describe here, but let’s just say he made it look easy. I know our athletes would sigh with relief when we would travel to a foreign track or CC course and see Bob with the starter pistol — partly because they knew Bob inspired fear in their competitors, but also because they knew the real Bob. 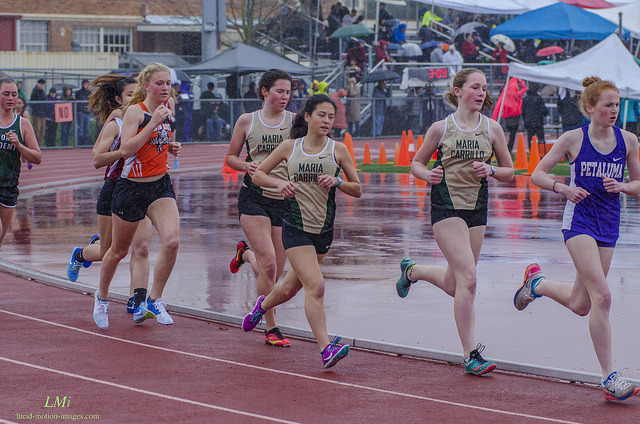 Personally I would rather be an athlete competing in the rain than a photographer. So I take my rain hat off to Michael Lucid for another wonderful collection. Sara Hall, the lone American competitor, runs a personal best after dropping out at the Olympic Marathon Trials in February. 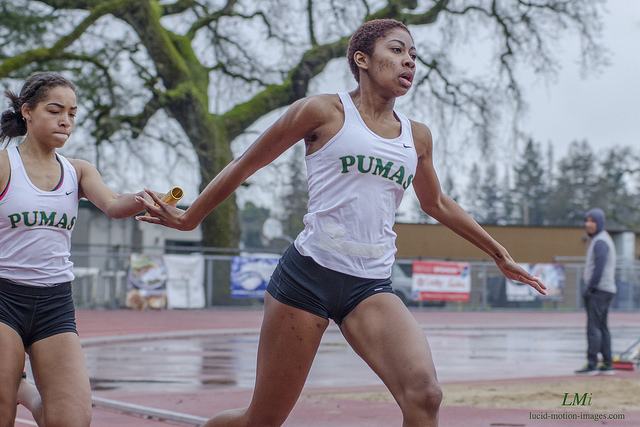 On December 6, 2015 three of the Redwood Empire’s premier women’s runners showed off their stuff at the Pacific 10,000m Pursuit at Sacramento State. 2004 Montgomery grad Kim Conley won the race with an Olympic standard qualifying time of 31:58.54. 2007 Maria Carrillo grad Alia Gray placed 5th in a time only Conley has bettered in 32:29.06. 2001 Montgomery grad Sara “Bei” Hall was 6th in 32:35.87.